Today’s global economic and financial systems are in the midst of another round of large-scale drastic changes. China’s integration with global finance is deepening. Interactions between global finance and the Chinese market are becoming frequent. In the process, Hong Kong, as an IFC, continues to play a unique pivotal role connecting China with the rest of the world. HKEX has been actively promoting product innovation in Hong Kong in recent years. 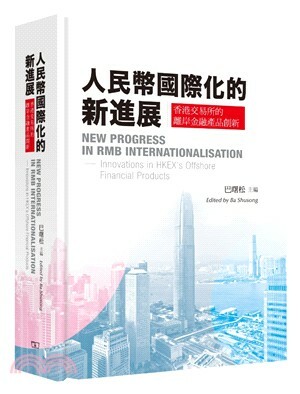 This book, a collection of research reports on renminbi offshore products in Hong Kong, is the product of a series of studies HKEX has conducted on its latest product innovations. It attempts to explore, from an international perspective and from the angle of China’s demands, the latest developments of HKEX’s renminbi products in asset classes ranging from stocks, fixed income and currency products to commodities, and the objective of building a renminbi offshore product centre in Hong Kong. It presents to readers the evolution of renminbi offshore products, and inspires readers to think about the unique role and significance of Hong Kong’s offshore financial innovations in the renminbi’s internationalisation process and in the deepening of the financial systems.